Scroll up and press "Add to Cart" Button Now to get your brand new Green Coffee Bean Extract rushed to your door now! >* These statements have not been evaluated by the Food and Drug Administration. This product is not intended to diagnose, treat, or cure any disease. ★ SAFE & EFFECTIVE - There are no artificial ingredients, no undesired side effects. It contains natural ingredients which are vegan no additives or preservatives. It helps you stay positive and focused every day for a healthy lifestyle. FDA approved, GMP certified & manufactured in the USA. ★ RISK-FREE PURCHASE - Lose weight or your money back! 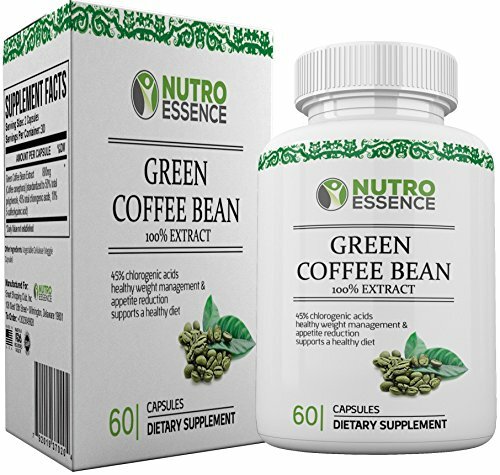 If you are not 100% happy with our green coffee bean extract we will give you a full money back guarantee, no questions asked. Live your life, healthy and fit. Order now! If you have any questions about this product by Nutro Essence, contact us by completing and submitting the form below. If you are looking for a specif part number, please include it with your message.